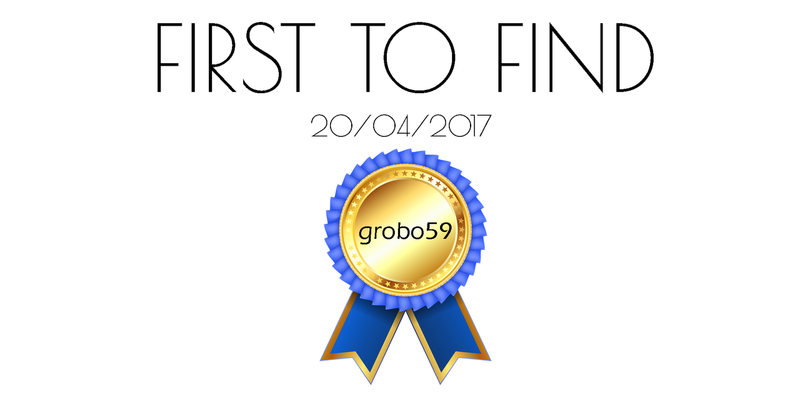 This cache is located in Ashingdon, Essex. 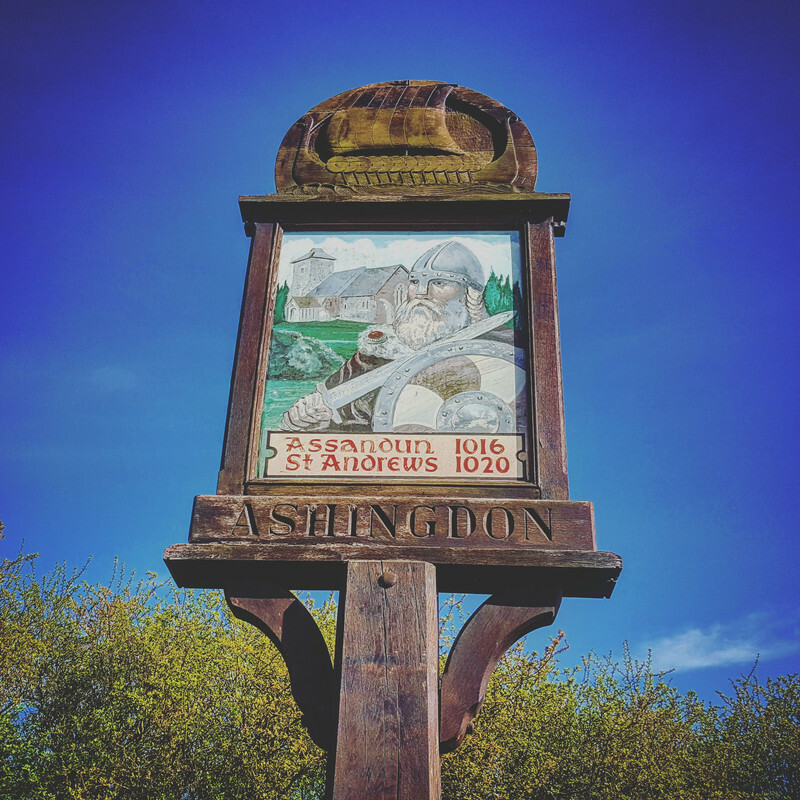 Ashingdon means 'Assa's hill', from a personal name and 'dūn' meaning hill. Ashingdon Hill is the likely location of King Edmund's camp, as it faces the field of battle. Canewdon church sits atop another hill, and was probably the site of King Canute's camp. Early chronicles report of fierce fighting at "Hyde Wood", nearly halfway between the two villages. Following his defeat, Edmund was forced to sign a treaty with Canute. By this treaty, all of England except Wessex would be controlled by Canute. After Edmund's death on 30 November 1016, a church was built in Ashingdon, and was completed 4 years after the battle. Canute attended the dedication of Ashingdon Minster with his bishops and appointed his personal priest, Stigand, to be priest there. The church is now dedicated to Saint Andrew but is believed previously to have been dedicated to Saint Michael, who was considered a military saint: churches dedicated to him are frequently located on a hill. Ashingdon has had links in the past with Denmark. Prince Georg, the cousin of King Fredrick IX, a senior member of the Danish Royal Family visited Ashingdon in January 1951. He came with diplomats from the Danish Embassy to commemorate and celebrate the Battle of Ashingdon. The Prince visited the Rectory, then Ashingdon Minster. Prince Georg brought a flag of Denmark and a model of a Viking longship. These both still hang inside St Andrew's Church. Visits were made by Ashingdon villagers to Jelling in Denmark, the home of King Canute's family. 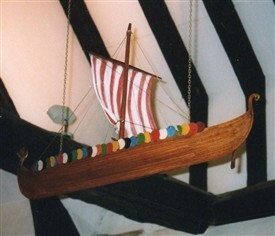 Jelling also sent exchange visitors to Ashingdon. 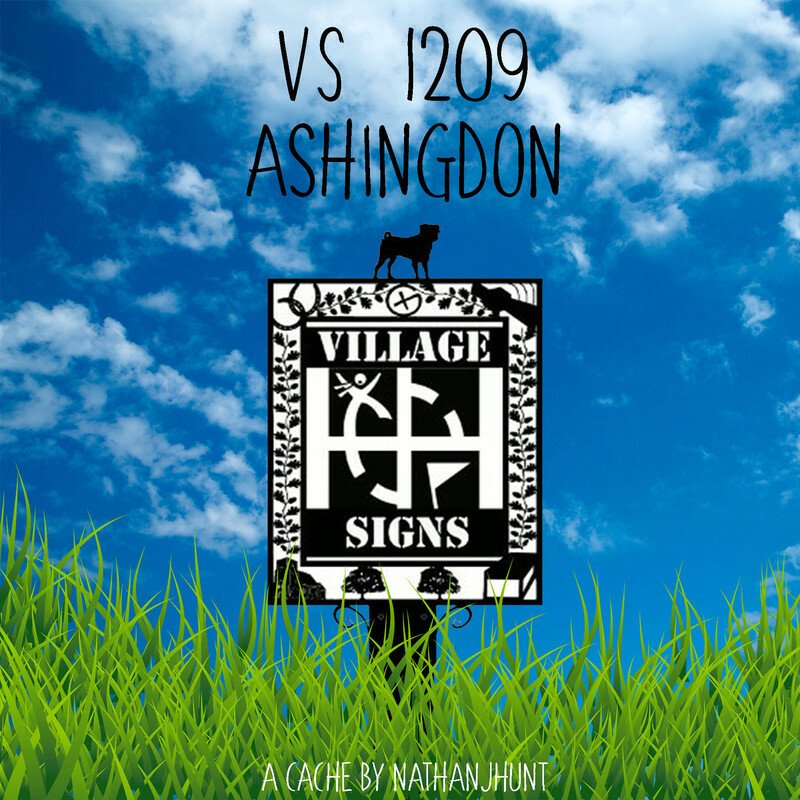 This Danish and Viking heritage is reflected in the village sign. Urnq urvtug. Gnxr lbhe gvzr, vg'f n ohfl whapgvba.